Jennie DeBusk has been an artist and designer her whole life, starting young in art classes and competitions. 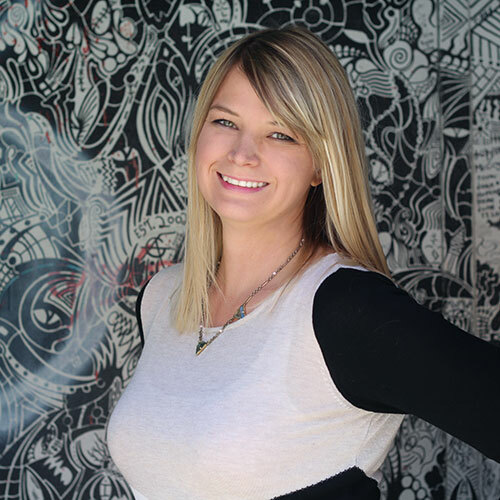 Jennie graduated from Boise State with a BFA in Graphic Design. She enjoys building websites and creating graphics while in doors and while outdoors, she likes painting murals. You can see her latest mural downtown at Freak Alley Gallery. When she is not making art, she enjoys spending time with friends and hunting for mid-century furniture finds. I like working for Key Design because of the clients. It is such a fun and interesting challenge to get to design for such a vast range of people and services. I always enjoy getting to know about the fields I am designing for. No two days are alike at Key Design. Wonder Woman. I wish I had an invisible jet. The Netherlands. The people are so kind and the buildings so colorful. Boise has a fantastic music and art scene.